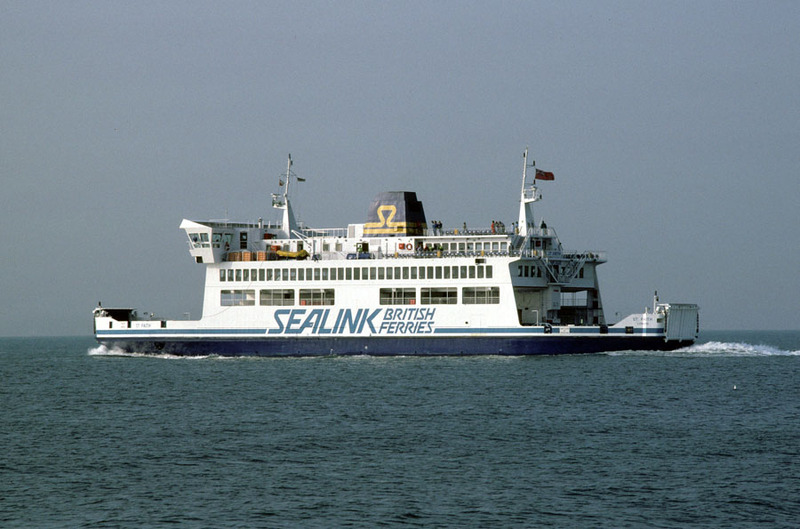 July 1990: Delivered 1990 to Sealink U.K. Ltd., London, England . 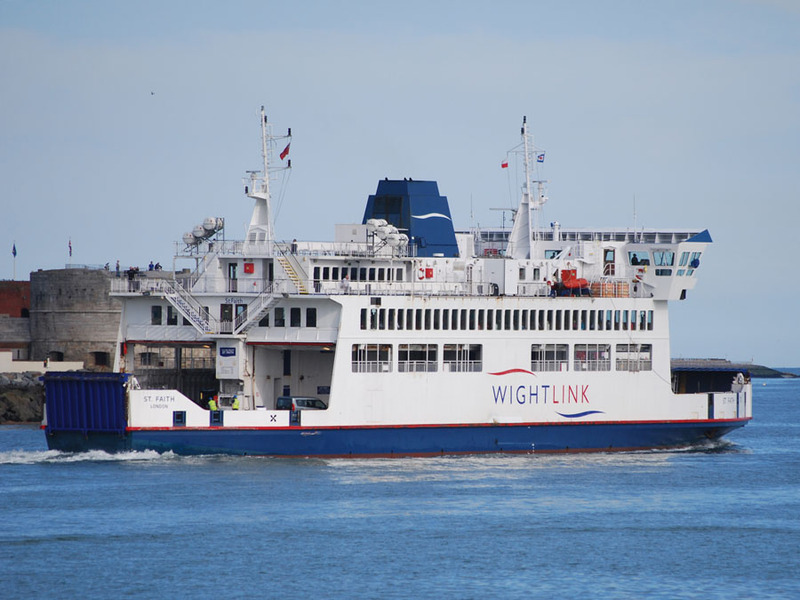 The seats on the deck are a different colour on all the sisters, the ST HELEN/red, ST CATHERINE/green, ST CECILIA/yellow and ST FAITH/blue. 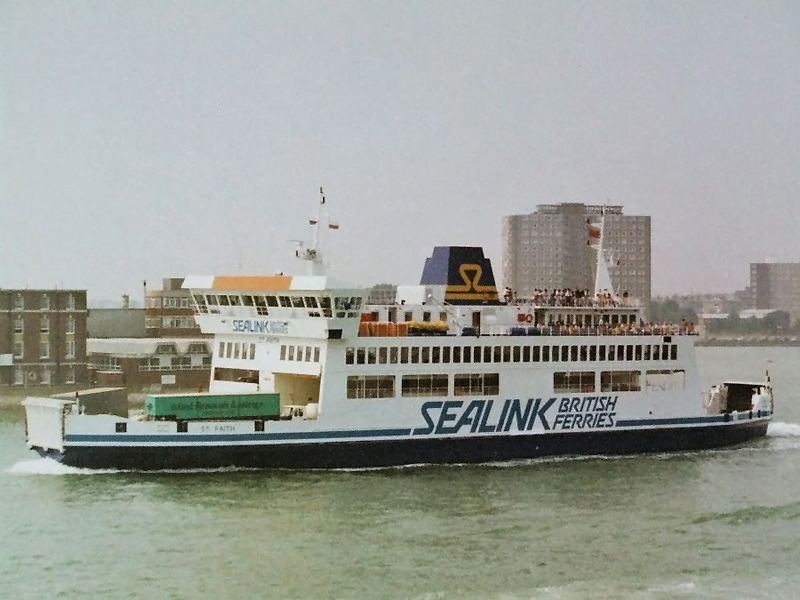 July 3rd 1990: Arrived in Portsmouth. July 11th 1190: Promotional cruise. 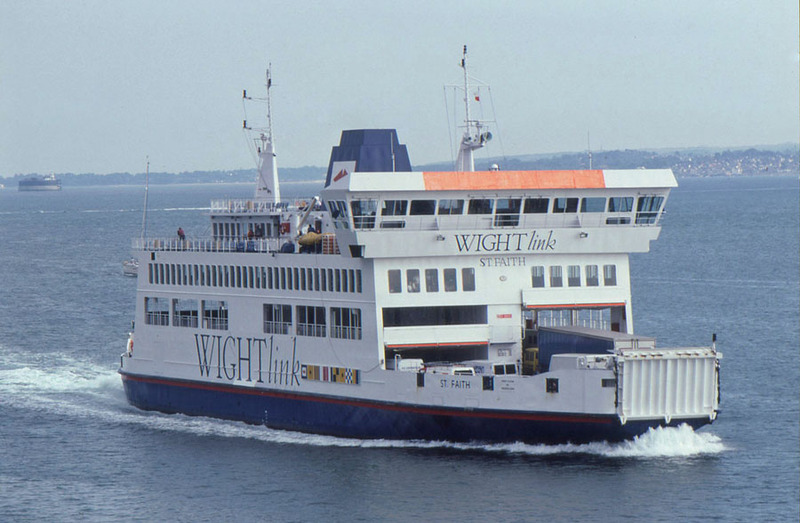 July 18th 1990: Commenced service between Portsmouth and Fishbourne. 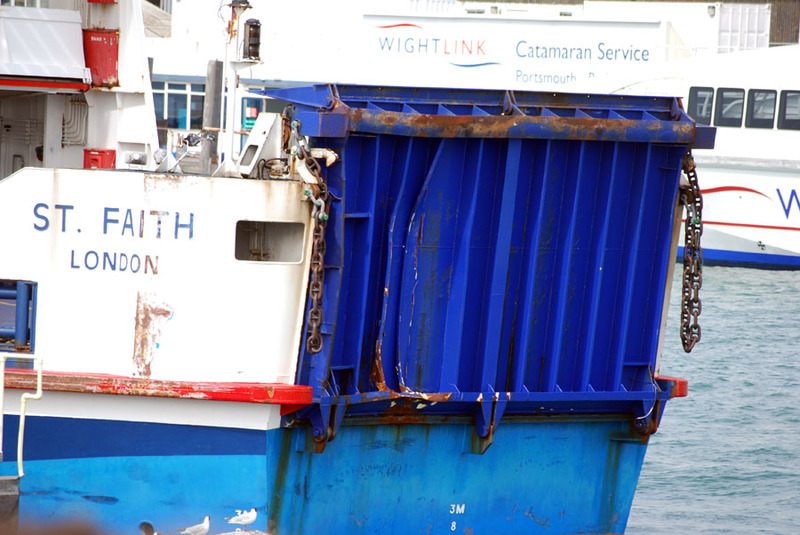 28 March 2010: Landed heavily against fendering whilst attempting to berth at the Camber Basin linkspan in Portsmouth. 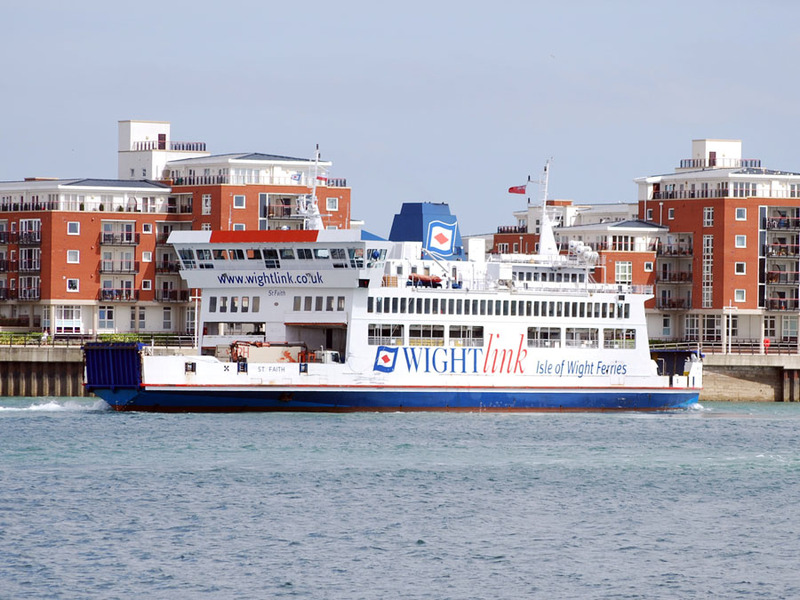 At 1412 BST on 28 March 2010, the ro-ro passenger ferry, St Faith, landed heavily against fendering while attempting to berth at the Camber Basin linkspan in Portsmouth. 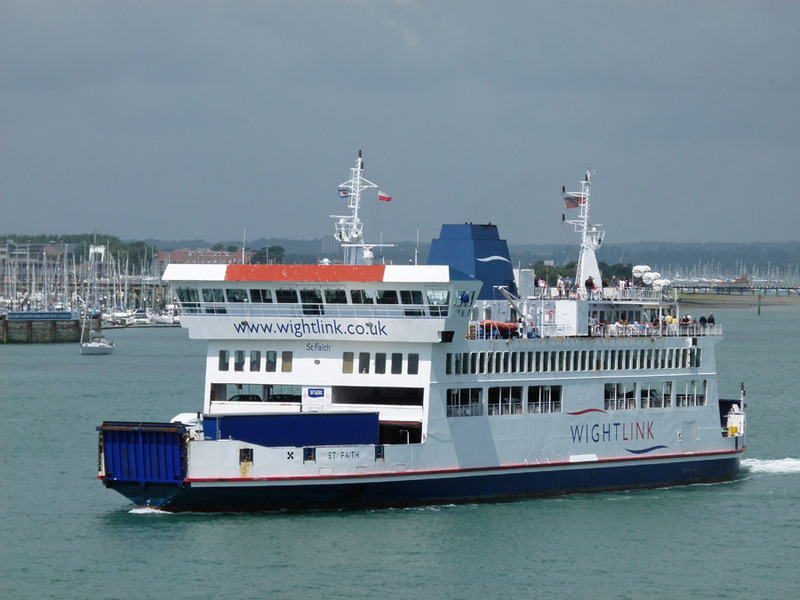 Two persons suffered minor injuries and the vessel’s stern ramp was damaged. 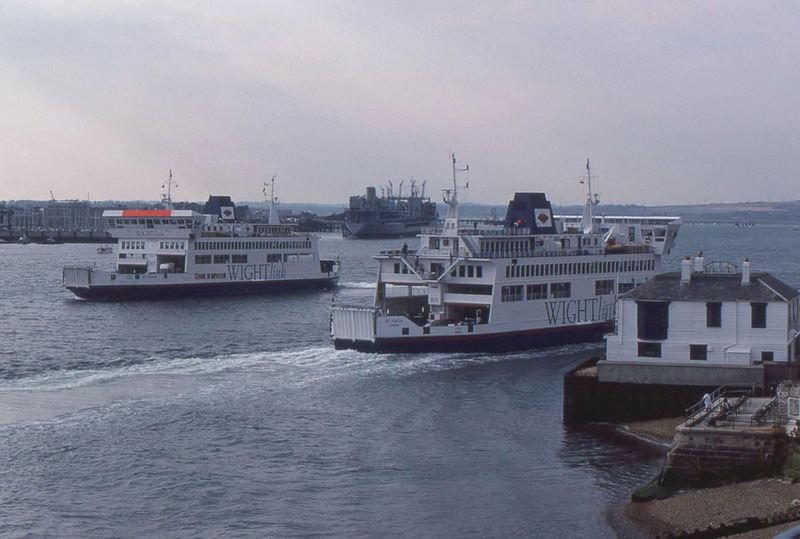 On arrival in Portsmouth Harbour, St Faith’s intended berth was occupied by another ferry. 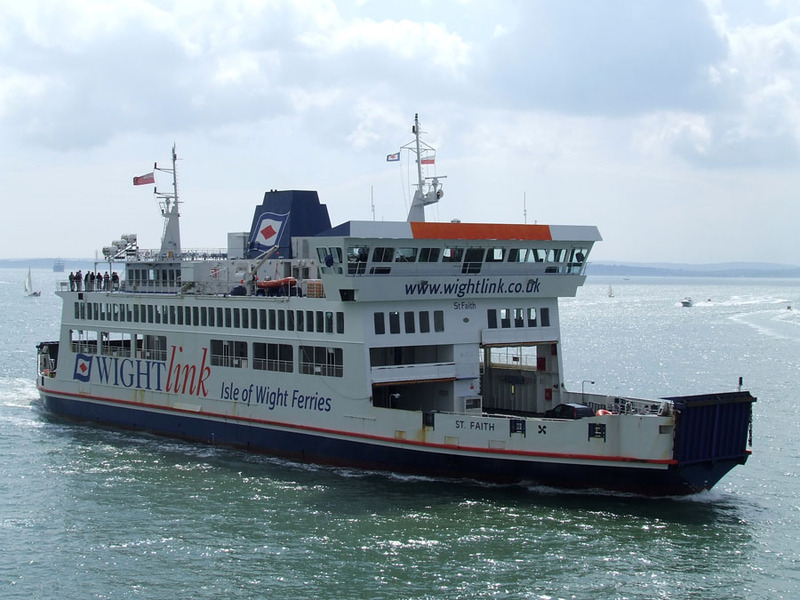 As soon as the berth became available, the master manoeuvred St Faith stern-first into Camber Basin, reaching a maximum speed of 8.4 knots. 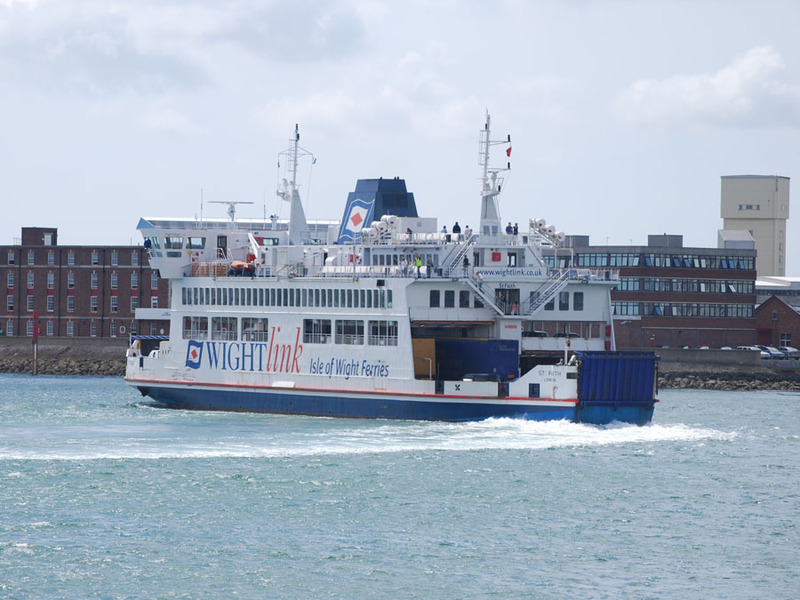 This was faster than normal and increased the ferry’s radius of turn as she approached the berth. 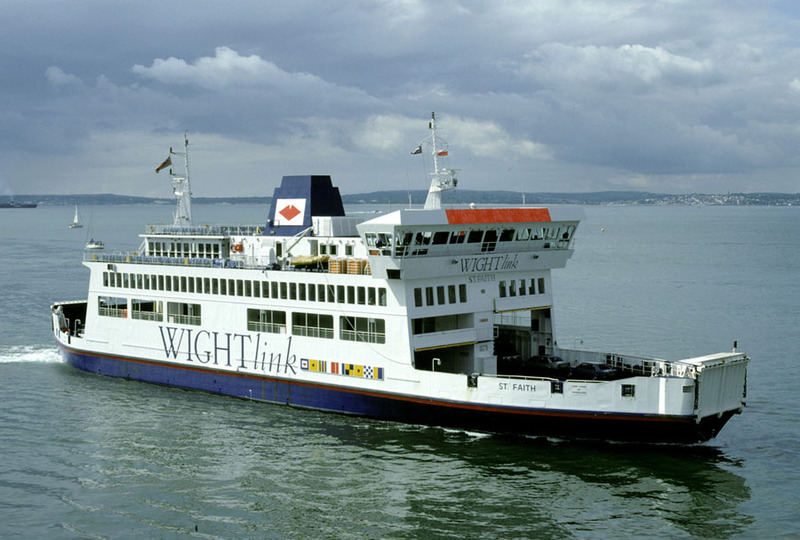 Consequently, the ferry was further south than intended, and a significant amount of lateral thrust was applied using the vessel’s Voith Schneider propulsion units to align the stern ramp with the linkspan. 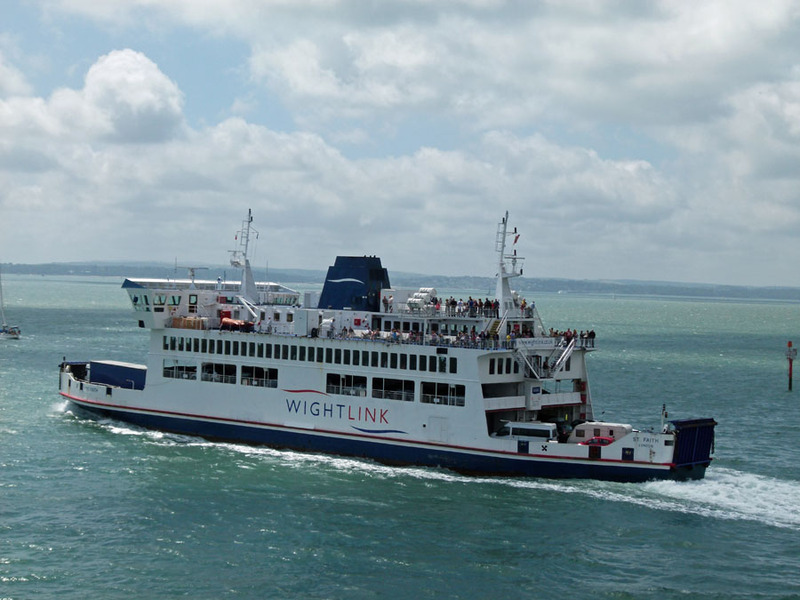 The use of lateral force resulted in insufficient ahead power being available to prevent the ferry’s stern ramp from hitting the linkspan fendering at a speed of about 4.5 knots. Although the master had been on duty for the previous 9 hours, it was not considered likely that fatigue was contributory to this accident. 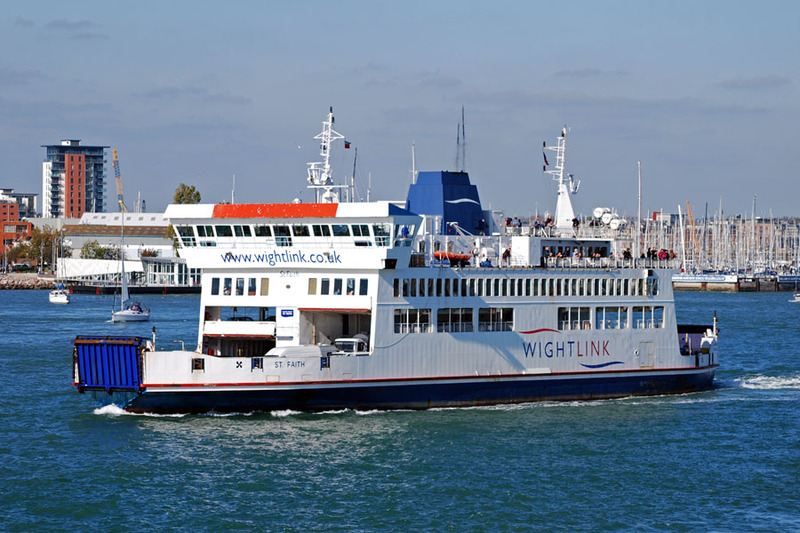 The Chief Inspector of Marine Accidents has written to Wightlink Limited strongly advising that, in addition to the action the company has already taken, all available means are used to monitor its vessels’ speed of approach when berthing. All information is believed to be correct and no responsibility is accepted for any errors or omissions found. All items included in this article are subject to © copyright. We would like to take this opportunity of thanking: “Ferryman”, Brian Fisher and Ken Larwood for their assistance in compiling this feature.